The Wizards started the game 9-of-12 from the field and took a 59-53 lead into the half. 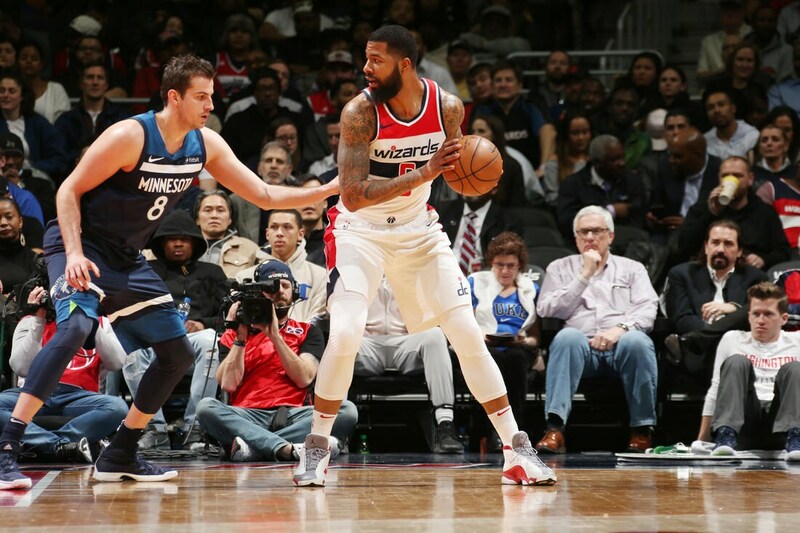 Markieff Morris led the Wizards with a season-high 27 points and Bradley Beal added 19 of his own. Morris made 10-of-15 shots and scored 11 of his 27 in the third quarter. Beal made six of his first seven field goals but only made 2-of-9 to finish the game. On to the next. ,,Morris 27p ,Beal 19p-5a ,Satoransky 15p-8r-7a ,,#WizWolves..
Beal leaves it for a KEEF slam! Give him a season-high 25 and counting.